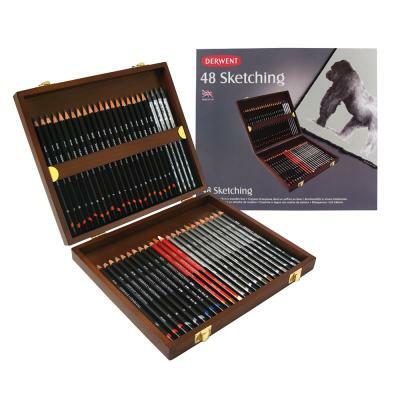 Sketching is all about being loose, free and easy and Derwent Sketching pencils couldn’t be easier to use; just 3 simple degrees HB, 2B & 4B, to cover all your sketching needs. They have a wide strip so you can quickly rough-out a loose sketch, or capture a passing cloud before it disappears! Once you’ve done that you can sharpen your pencil to a fine point to add the all important detail! 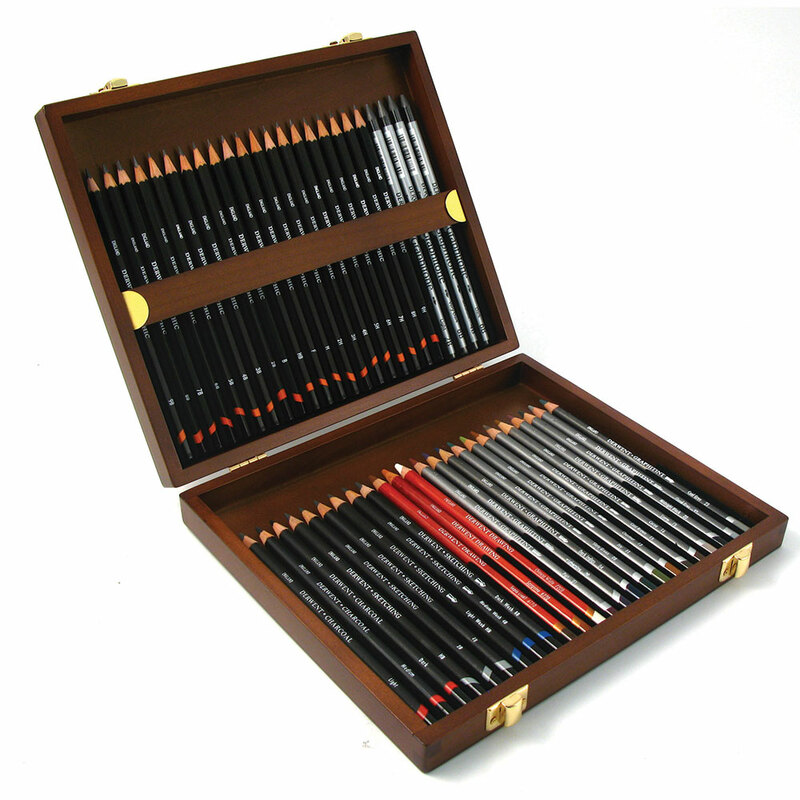 Presented in a beautiful wooden box containing a selection of Graphitone Sticks, Graphic Pencils, Sketching Pencils, Watersoluble Sketching Pencils, Graphitint Pencils, Drawing Pencils, and Charcoal Pencils. 3 Charcoal Pencils (Light, Medium and Dark).